Top 10 Best Batsmen of IPL 2016: Slowly and steadily, with every passing day, the fever of world’s biggest cricketing extravaganza, the Indian Premiere League (IPL) is soaring high. Now, we are in the third week of the cash-rich league and half of the matches have already been played. IPL 2016 has already reached a colossal 297 million viewership mark which indicates that this season has clicked with the fans and viewers, at large. The tournament has now moved into the most crucial phase where the teams are vying hard to qualify for the play-offs. Now, each and every match is being played with high level of intensity and the fans are going gaga over the sight of these high-octane clashes. Apart from the ongoing team competition, there’s an intense battle going on between the maverick T20 batters of the world in the IPL to showcase their supremacy and top-notch skills. Today, we compile the list of Top 10 Best Batsmen of IPL 2016. The Australian skipper in command, Steven Smith was roped in the RPS side to boost their team after the suspension of his previous side, Rajasthan Royals from the IPL. And the unorthodox batter has played true to his reputation as well. In a rather dismal season for the new franchise, RPS, till the half way stage in the tournament, Smith has been the only bright spot in the middle-order. The right-hander featured in 7 matches and accumulated 270 runs at an average of 45 and strike-rate of 153.41. 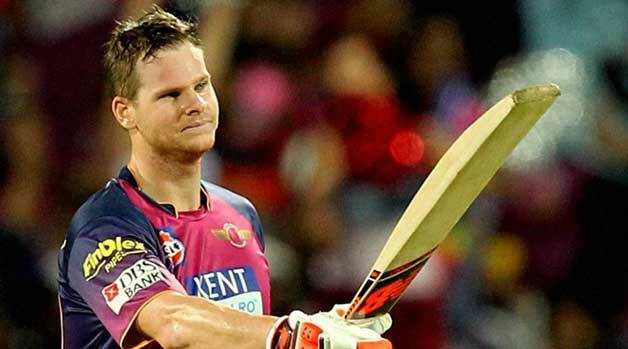 To the disappointment of the Pune side which had already lost its key players like Kevin Pietersen and Faf du Plessis at the hands of injury, Steven Smith became the third RPS player to be forced out of the tournament due to an injury. Next articleSanju Samson- An Emerging Star or a Star Who Has Reached His Potential?